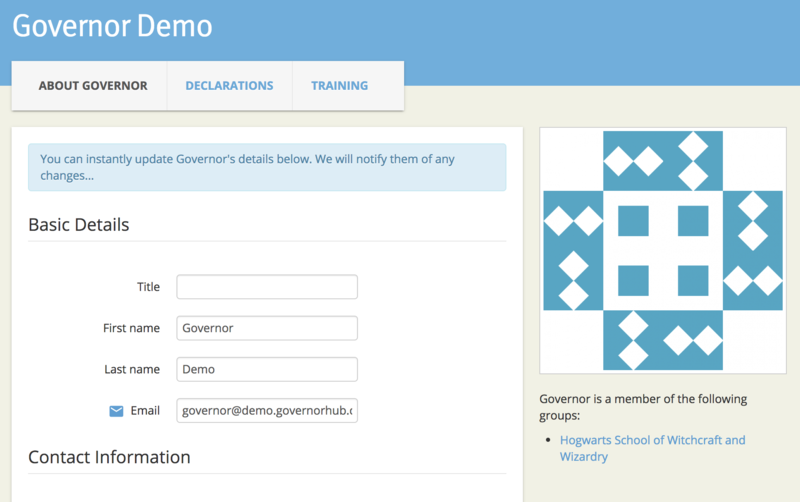 How to update your governors' contact details, declarations of interest and training records. To update someone's details on GovernorHub, click on their name in the members list to go to their profile page. Here, you can update their basic details, contact information, declarations of interest and training records. Note: if a governor is a member of multiple boards, this will update their details across all their schools.